Our high quality vinyl banners work great for promoting your grand opening or just promoting the next month's specials. We print our banners on a brand new state of the art, eco-friendly, wide format printer. 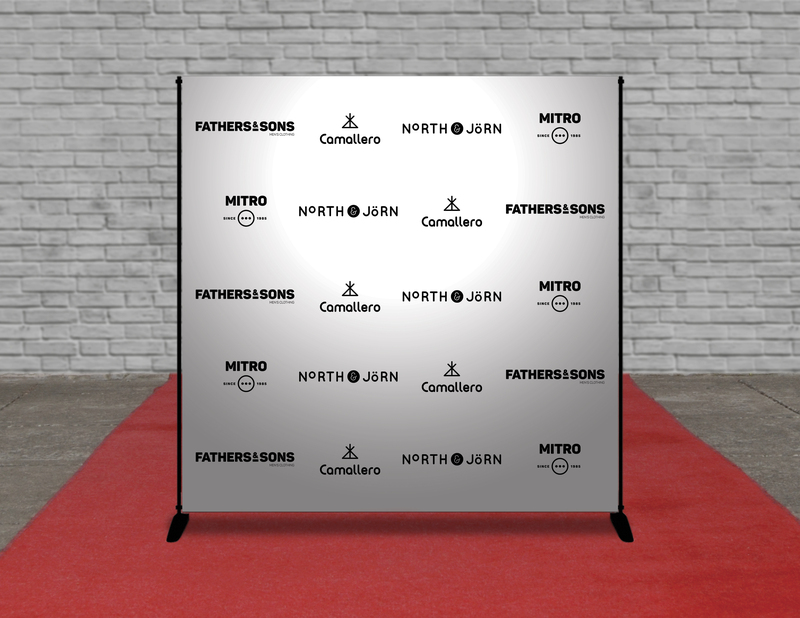 A step and repeat will work perfectly as a back drop at your next event. Everyone will want their picture taken in front of this banner with your logo(s) in the background. Just upload your design and we'll do the rest. Banners are usually ready to ship on a next day basis.